I wonder if Disney+ will stream the SW films in 4K? If so, I'd probably only every buy the OT. I'd never buy a complete set of films that included the PT. I'd like just individual releases personally. I've held off on buying Star Wars on Blu-ray so far so I'll wait longer if need be. Still holding to only buying the unaltered Original Trilogy as well. If that isn't an option I'll find alternate methods of viewing them. Now that Disney owns Fox and thus owns all the rights to all the Star Wars films, making a new box set after Ep 9 comes out is a no-brainer. Likewise making 4K releases. The big question is whether the original cuts will be included, and the article doesn't commit to a stance regarding that. Yeah, this is so expected, I'd hardly consider it a rumor. I've got the first Blu box of the 6 movies, but the transfers have some issues and there's tons of extras still in the vaults. So, yeah, originals? That's the real question. Though what I would really love in addition to the original version of the Holy Trilogy, would be versions that added scenes like the Biggs footage or Luke building his new lightsaber from ROTJ. Like, if they had made extended TV versions back in the 80s (like the Superman films or Dune). That would really get me excited. I feel that's highly unlikely. Disney doesn't really do extended editions. The only time they do multiple versions is if it's for some other reason, like historical relevance (Beauty & the Beast work cut) or because of something like an IMAX re-release that added a song (Beauty & the Beast, Lion King). So while I think it's possible they might include the original cuts, they're not going to make their own. What's J.J. Abrams going to do? Add yet another Death Star to the story? "This time, it's literally a star! It shoots a beam at other stars and turns them into Black Holes!" I'll believe it when I have the disc in my hand. Not one moment before. And even then if Disney releases the unaltered Original Trilogy Lucas will come down everyone's chimneys like Santa and take them away when you sleep. I never picked up the BR versions. My son took the DVD's when he moved out. I would be interested in the OT in 4K. Although I found them entertaining, I'm not a huge fanboy. If they never come out I just won't buy them. 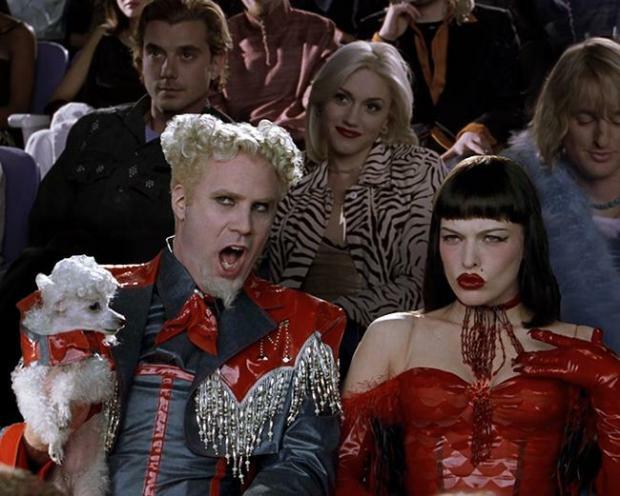 Black holes are so hot right now. I doubt very much that we're going to see an original trilogy release on 4K in 2020. What I DO think we'll get in 2020 is a boxed set for all three of the NEW films - with both The Force Awakens and The Rise of Skywalker joining The Last Jedi on 4K. On day one, we were in Lucasfilm in San Francisco with Industrial Light and Magic and John Knoll, our supervisor, he said that they’ve got a brand new 4K restoration print of A New Hope – it had literally just been finished. Also, what about the prequel trilogy? How likely do you think they'll get a UHD release? TPM was shot on film and finished digitally so it can be done in 4K but AOTC and ROTS were shot with 1080p digital cameras so that’s a bottleneck. Scenes that had a lot of digital effects could theoretically be rerendered at a higher resolution but the live action stuff would have to be upconverted. 90% of the movies released on "4k" UHD are upconverted from 2k. That's not an obstacle at all. Some version of the original trilogy on UHD? Sure, most likely the last Lucas revisions. That article above with Kennedy's quote about never touching the originals reads to me more like she wouln't make further changes to the films. Different than saying they'll never be restored to their theatrical releases. I still somehow don't think we'll see the originals but would love if we did. And even if that is what she meant to say, it won't always be her call, even if it is now. She was appointed to lead Lucasfilm by George himself, so of course she will remain loyal to him, but if Disney were to ever decide that they want to put the OOT out, then they will. Which isn't to say that I think it will happen anytime soon, but Disney didn't spend 4 billion dollars to acquire Star Wars so that they could let Lucas tell them what to do. The closer the world moves to digital formats above physical media, the less interested people will become in a studio release of the unaltered originals. Options are out there. It's now or never ... from a certain point of view. Ep 131.3 : Star Wars Celebration Orlando Day 2 ? The Last Jedi cast interviews with Daisy Ridley, John Boyega, Kelly Marie Tran, Rian Johnson & Kathleen Kennedy ? Steele Wars : Star Wars Chat. At about the 16:09 mark is the question. The interviewer asks whether the final cuts of "George's" films would be "altered over time." Kennedy's response: "I wouldn't touch those, are you kidding?" I think it's a poorly phrased question, since it asks about "altering" films instead of "restoring" films, and it doesn't pin-point which films exactly; Kennedy may have thought the question was about arbitrary changes to all the earlier films, including the prequels. The question immediately preceding it, at 15:33 is about the transition to Disney and whether there's a "contractual obligation that the films are locked into their current form." Kennedy's answer is as if she understood him to be asking about Disney influencing the new films in any way. Again, I think this question was poorly phrased, and I think Kathleen Kennedy just wasn't in the "head space" of the questions being in regard to restoring the original versions of the original trilogy at all. I don't think this is necessarily true. There's alternate and extended versions of films available digitally. Recently, Fantastic Beasts 2 had an extended cut as a digital extra, and in fact it's the only way to view the extended cut, since it's not available on disc. If there's not space on the discs, maybe Disney will include the original cuts as digital extras. Not that it changes your greater point, but the extended Grindelwald is on-disc overseas (such as the UK). I'm not sure why the U.S. got the short end of the stick, but apparently there are "DELETED SCENE" overlays even within the extended cut, and that makes my skin crawl to the point that I don't miss it. Interesting. I recall there was speculation about the UK 3D version when the cover art first came out, because it didn't say "extended cut available via digital" on the bottom of the front box art, but I didn't realize it had been confirmed. My DeadPool 2 Super Duper Cut digital copy includes both original and extended cuts, but both are available on disc as well. I know there's other films where multiple cuts are available digitally, but as different "titles." I've got both theatrical and extended cut version of LOTR, The Hobbit, Harry Potter 1 & 2, and Aliens, for example. I have the Unrated version only of a few films like Dawn of the Dead & Miami Vice, and the Director's Cut only of films like Das Boot and Watchmen.